Right at the start of the world trade fair MEDICA / COMPAMED 2017 it has been completed: our new MEDICAL DESIGN TREND UPDATE! 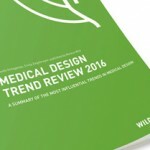 Inside, we describe in detail 15 trends which we consider as trend-setting in medical design in the coming years. Extensive research and numerous discussions with experts from various disciplines of the medical technology industry, which we amongst others held at MEDICA last year, formed the basis for this study. 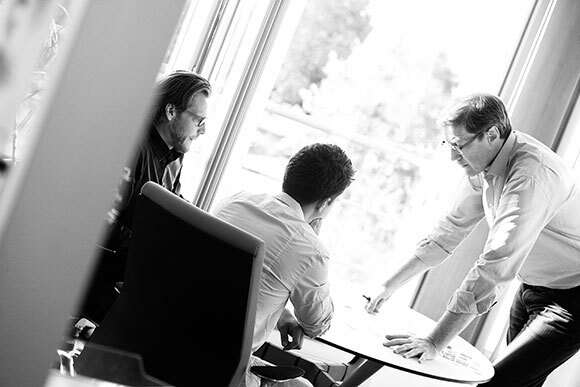 We show examples of current innovations as well as visions and let experts have their say in interviews. Here you can download the eBook for free! 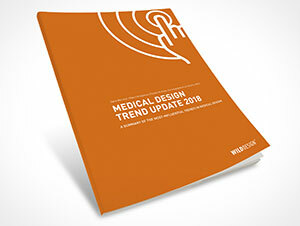 What can you expect from our Medical Design Trend Update? Ask the USER! With this general request for more user participation, we invite you on a tour to understand the current opportunities and challenges for true innovation in medical technology and show you the trends that hold great potential for better medical devices. While most players in the field of medical technology are forced to cope with the rapidly increasing regulatory requirements – such as the new European Medical Device Regulation (MDR) or other current standards, we draw attention to the topic of Medical Design Trends. Two years ago, we published our first Trend Report, which has now undergone a thorough update. Much has happened in the meantime: energy, mobility or digitization are issues that have now raised public awareness and are stimulate controversial discussions. The right decisions depend on our future, on a personal, national and global level. The frontal political and social attack on the truth, for which the word “post-factual” was created in 2016 and even became the word of the year, creates space for probability and associated possibilities. Instances wobble and authorities erode. Apart from acute care, medicine is increasingly invading private life, with the support of Google and Co., enabling people to monitor their own health and well- being. For example, while the subjective perception of health in industrialized countries is deteriorating, mortality on a global scale is continuing to decline. Medical and technical advances are objectively on the road to success, but we humans do not feel healthier. In his latest book, “Homo Deus,” Yuval Noah Harari writes, “In the 21st century, people will probably seek immortality. Google Ventures CEO Bill Maris predicted in 2015 that it would be possible to reach the age of 500, and is now investing hundreds of millions of dollars in start-up life science businesses. Lots of chances, but how can we use them? We see three major factors influencing our current and future work as product developers in medical technology: USER, DESIGN and TECHNOLOGY. 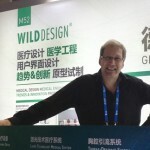 First and foremost, we see the USER, which is now moving more and more into the center of medical product development. Supported by the substantial standards for creating better usability, such as the IEC 62366, the USER has become an element that cannot be ignored. Usability becomes the driving force for product innovation, in addition to technological advances. New medical products will have to adapt to completely different contexts in the future, for example to being used in public spaces or in a shopping mall. 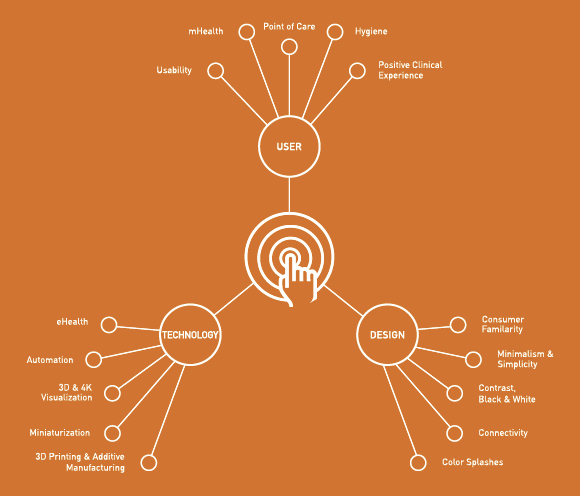 The point-of-care is the trend that brings the advances of modern medical technology to wherever the user needs them. 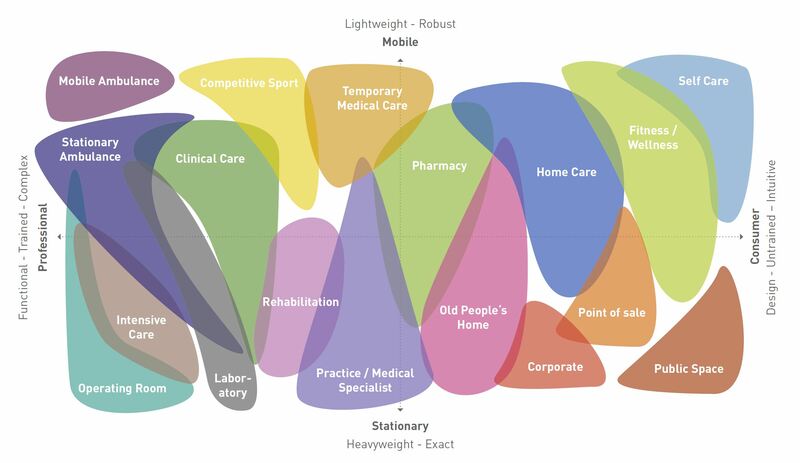 As part of the point-of-care trend, we continue to see mHealth gaining ground, meaning greater mobilization of the product right through to permanent body support. The issue of hygiene is becoming increasingly important due to the problems with multidrug-resistant germs and the weakening of the concept of antibiotics and has an impact on product design. All in all, the curative treatment should become a more and more positive experience, so that we as patients in the Positive Clinical Experience can feel comfortable. 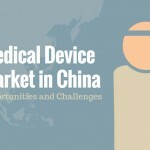 We see a whole series of stylistic drivers penetrating the field of medical technology. With the increasing privatization of medical applications to pure homecare products, consumer familiarity is becoming increasingly important. Users and customers are seeking the familiar – especially a smarter touchscreen that they know from your mobile phone. So that it does not overstrain the operation, the product is made as simple as possible. Minimalism and simplicity are an expression of this strong design trend. Color also serves as a leitmotif for the trend-oriented development of medical products, be it in the elegant Black & White Contrast or in the selective use of strong colors in the Color Splashes trend. 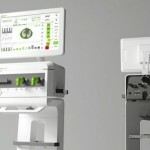 The transition to technological innovation marks the megatrend of connectivity, which also inspires imagination in medical technology. There are still a number of reservations and even more regulatory hurdles in the way of connecting and bundling data streams, but in terms of design, the connection is already shaping the style. While the technological progress that has set the pace so far continues to form the basis for new product generations, in the users’ consciousness the motto “higher, faster, further” of technical development is becoming increasingly dull. In our opinion, the most important technological influences on product innovation are automation and miniaturization. Service robots and support systems will change the clinical and nursing landscape. For acceptance by healthcare professionals and patients alike, ways must also be found in the design to give these new beings the right identity. The progressive reduction of technical components pushes the innovation in the direction of barely noticeable technology and interventions. A successful factor in the trend landscape is certainly telemedicine. eHealth is not a new concept, but the associated problems are now being solved step by step, so that here as well an influence on medical design can be expected. The progress in the optical visualization of medical events, be it through particularly high resolution or through virtual realities, is captured in the 3D & 4K visualization trend. Last but not least, the rapid advances in 3D printing bring us not only effective development tools, but also superior possibilities of serial production in small series. Compared to our Medical Design Trend Review 2016, the chapter “Asian Influence” is missing in this issue. In fact, Asian influence continues to exist, causing shifts in global markets and restructuring in international development consortia. But it does not affect design as much. On the one hand, its effects are limited to the fact that more and more products are coming under price pressure and therefore need to be developed and produced more cheaply. On the other hand, the difficult Chinese market has become a complicated driver for many global players. However, we can no longer identify any predicted effects on product development in terms of an Asian Health Style. Many thanks to the authors of this issue for their intensive research and pointed presentation of the 15 trends as well as our interview partners from the fields of research, as well as the industry, who objectified our view once again and rounded it off with concrete examples. We look forward to your questions, feedback and discussion (via e-mail to trendupdate18@wilddesign.de). We will be happy to respond to your messages. Here you can downloaden this 100-page study as eBook! The user - the driving force for product innovation?